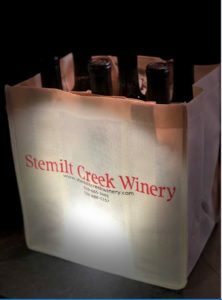 April 2nd, 2018, we released our Spring Wine Club 6 pack. If you don’t have yours yet, stop on in and pick it up! It’s a busy time of year in our tasting rooms and we love it! This release contains 2 bottles of Cab Franc, 1 bottle of Kyle’s Fair Market Red, 1 bottle of Caring Passion Merlot, 1 bottle of Boss Lady Red Blend, and 1 bottle of A Day’s Work Cabernet Sauvignon. It’s a wonderful variety that should please everyone in your circle! See you soon!